Villa Sitio de Ensueno is located a few meters near the main entrance to Punta Leona in the beautiful country Costa Rica. This gated community houses a total of 44 villas on a property that has a perimeter wall around it. Villas Sitio de Ensueno offers a variety of models and size of villas to choose from. The construction sizes of the villas are from 110m2 till 220m2 and the lots sizes are from 167m2 to 260m2. The villas are 1 or 2 level units. The villas at Sitio de Ensueno are surrounded by green areas. The quality construction and fine finishes of the condominiums at Sitio de Ensueno will ensure an excellent investment. 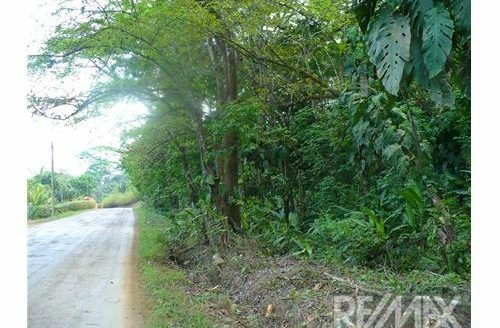 There are still some lots available in the development where you can build one of the Sitio de Ensueno villas and own your real estate in Costa Rica. The villas provide comfort and satisfaction. At e Sitio de Ensueno you can choose between one, two or three bedroom villas each with a different layout. The villas come with a kitchen, living and dining room, laundry room and terrace with jacuzzi. There is a parking space in front of each villa. The 2 level units have a front balcony. The infrastructure at Sitio de Ensueno development is excellent. The concrete brick pavement streets, underground wiring and external lighting, gated entry with guard house and parking area for visitors show the high quality of live and security at Sitio de Ensueno for its residents. The common recreational areas include swimming pool for adults and children, two barbeque ranchos, playground for kids, beach volleyball court and restrooms. Villa Sitio de Ensueno is near Punta Leona Resort where you find some of the beautiful beaches that Costa Rica is known for; white sand beach and blue water among lush tropical vegetation!